As Philip Giraldi notes, up until recently it has been habitual to refer to such activity as the Deep State, which is perhaps equivalent to the Establishment in that it includes financial services, the media, major foundations and constituencies, as well as lobbying groups, but we are now witnessing an evolutionary process in which the national security regime is exercising power independently. Nowhere is that "independence" of the 'state within a state' more evident than in the blatant and egregious news this week that The National Security Agency destroyed surveillance data it pledged to preserve in connection with pending lawsuits and apparently never took some of the steps it told a federal court it had taken to make sure the information wasn’t destroyed, according to recent court filings. As Politico reports, the agency tells a federal judge that it is investigating and "sincerely regrets its failure." 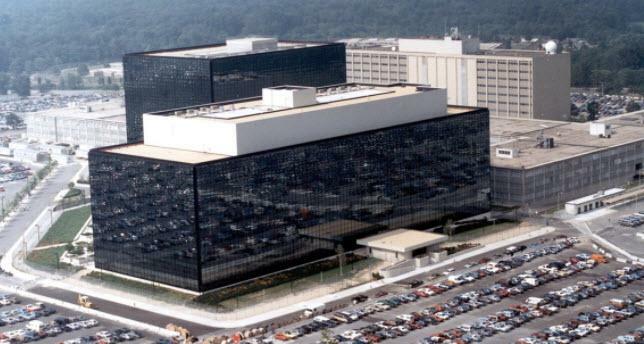 “The NSA sincerely regrets its failure to prevent the deletion of this data,” NSA’s deputy director of capabilities, identified publicly as “Elizabeth B.,” wrote in a declaration filed in October. Defiance of a court order can result in civil or criminal contempt charges, as well as sanctions against the party responsible. So far, no one involved appears to have asked White to impose any punishment or sanction on the NSA over the newly disclosed episodes, although the details of what happened are still emerging. “It’s really disappointing,” said David Greene, an attorney with the Electronic Frontier Foundation, which has been leading the prolonged litigation over the program in federal court in San Francisco. Word of the NSA’s foul-up is emerging just as Congress has extended for six years the legal authority the agency uses for much of its surveillance work conducted through U.S. internet providers and tech firms. Antiwar activist Justin Raimondo believes that something like a civil war is coming, with the war party Establishment fighting to defend its privileged global order while many other Americans seek a return to normal nationhood with all that implies. If true, the next few years will see a major internal conflict that will determine what kind of country the United States will be.